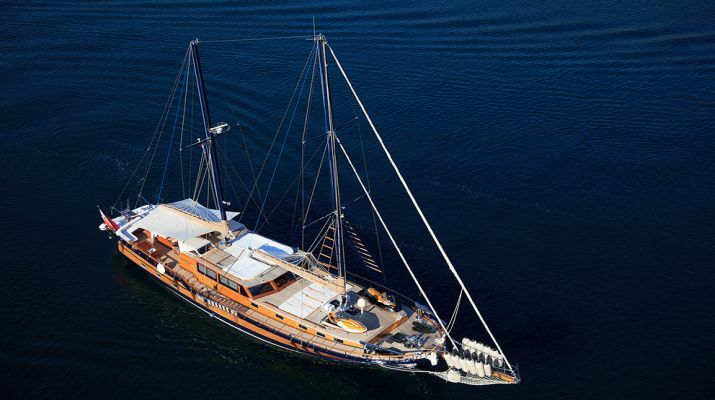 The gulet Dolce Vita has a big 34 meters frame and she can accommodate up to 10 guests at once. The gulet features a Jacuzzi, a very big and spacious salon along with 5 air conditioned cabins (2 Master Cabin and 3 Double Bed Cabin). Maximum of 10 guests. (Each cabin with a private bathroom). There are also crew members on board this gulet to treat you to a nice experience throughout your cruise. A cruise on the Dolce Vita typically starts from €26.000 and its possible routes for departure are Šibenik, Dubrovnik, and Trogir. Built in 2013, the Gulet – motorsailer Cesarica is a modern and all wooden luxury motor yacht. This enormous size yacht measures up to 41 meters in lengths and this mega yacht can accommodate up to 24 guests in its 11 air conditioned cabins. The gulet Cesarica has 8 crew member on board to attend to your every need. The gulet Cesarica is suitable for those travelling in large groups or groups or family that wants to host a mini party. The typical starting price for this gulet is €25.000 / week/person. 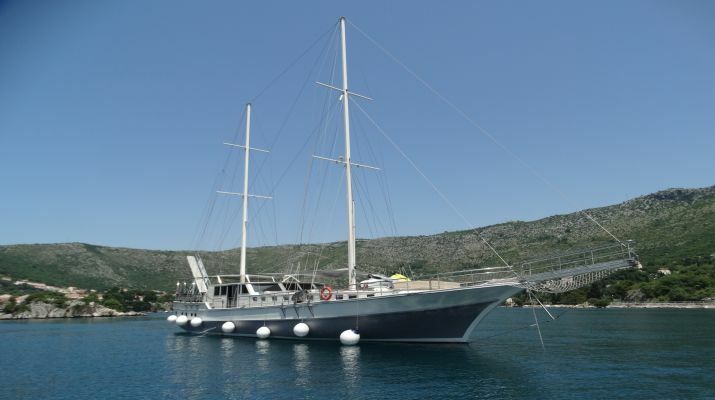 Gulet Luna is a nicely furnished 33 meter long luxury cruise yacht with 8 cabins and is among one of the most glamorous 8 cabin vessels in Croatia. The gulet is very nicely furnished with spacious cabins, lounge, Jacuzzi and one of the best and friendliest and welcoming crew that you will ever come across. This gulet has 8 fully air conditioned cabins and can contain a maximum of 18 guests. 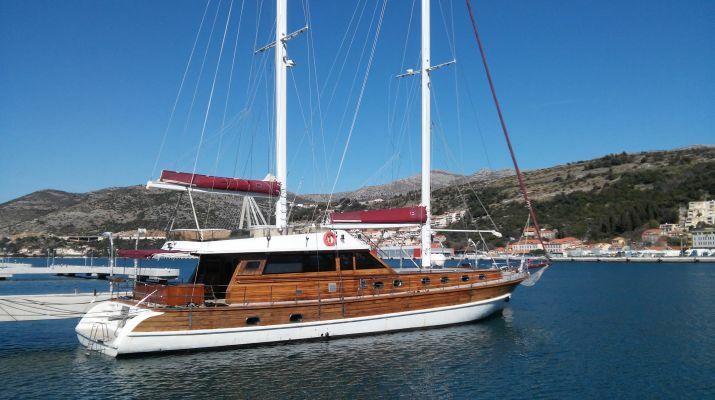 The starting charter price for this gulet is €18.200 / week/ person. Gulet Pacha is not the biggest of gulets measuring at just 24 meters. However, this small gulet features one of the best and most talented crew members you’ll ever come across. Pacha is constructed with a high-grade mahogany and also has a master Cabin. The cabins on the gulets are not much but are very spacious and comfortable. The gulet contains 4 air conditioned cabins and can accommodate a maximum of 9 guests (Each cabin with a private bathroom). The charter price for the Gulet Pacha ranges from €22.000 to €24.000 / week/ person. The gulet most certainly falls under one of the most maintained and well-kept gulet in the whole of Croatia. Featuring a 5 cabin accommodation and a 27 meter frame, this gulet will thrill you with every sail and thrust that it makes in the sea. This gulet boasts of one of the best meals you will ever have on a boat and also has very spacious and comfortable cabins. This gulet can accommodate a maximum of 10 guests. The charter price for this gulet ranges from €16.800 to €21.500 /person/week. The Gulet Aurum was totally renovated in 2015 and it is a 32 meter long gulet that comes with 6 fully furnished and remodeled cabin. This gulet has a large area for sunbathing and also beautiful steel rails on the deck to ensure that you can lean and have a good view of the ocean. This Gulet features 6 air conditioned cabins and can accommodate a maximum of 12 guests. The charter price for this gulet for each person every week starts from €16.500 to €20.500. The gulet Romanca is one of the very few gulets in Croatia that can accommodate up to 18 people. Romanca is maintained to the highest standard by it owner Andrea who does justice to her upkeep with a special “woman’s” touch. The gulet Romanca boasts of well-maintained cabins and very spacious deck and sunbathing area. This gulet also comes with a sun deck just at its back end and this deck can be covered just in case you do not want too much sun. The gulet Romanca has 9 air conditioned cabins and can accommodate a maximum of 18 guests. The asking charter price for this gulet for every guest each week starts from €16.900 to €19.900. 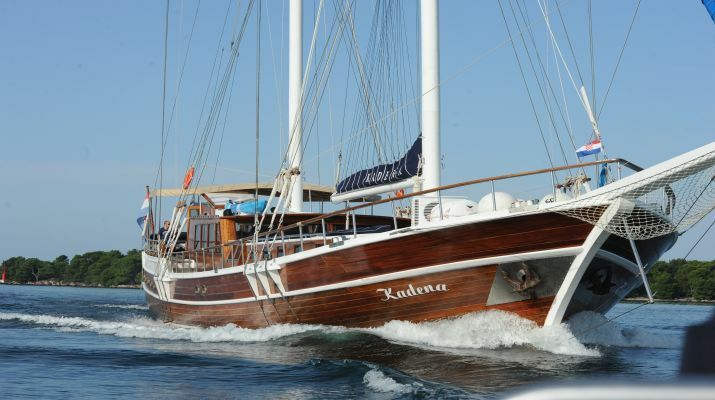 Stretching about 32m, the Kadena is one of the pride of Gulets in the whole of Croatia. 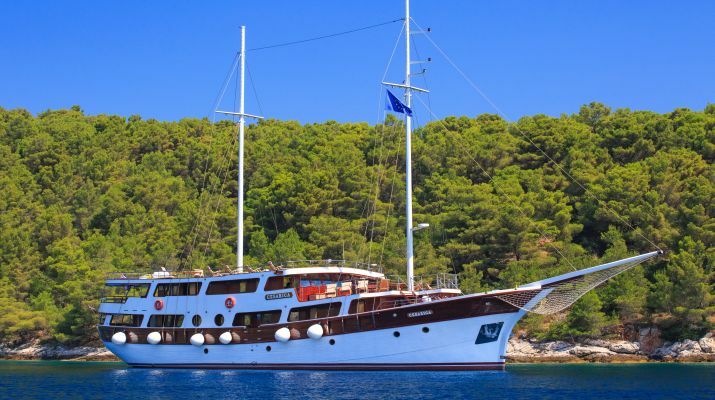 The gulet Kadena offers a lot of cabin space and it can accommodate up to 12 people making it the perfect cruise vessel for a large family or a group of friends that want to enjoy the ultimate gulet cruise. This gulet has managed to keep the same crew for many years and they are fantastic at offering great services to every guest on this exotic luxury gulet. This gulet has 6 air conditioned cabins. That can accommodate up to of 12 guests. The least charter price for this gulet is from €10.500 for each person/week. The gulet Adriatic Holiday is a beautiful 2017 gulet in Croatia. The gulet features a spacious 5 accommodation cabin and a very furnished and spacious lounge that is supported by its 27 meter long frame. There is a lot of water sports equipment available on this gulet and it serves one of the best meals too. This gulet has 5 air conditioned cabins and can contain a maximum of 10 guests. The asking charter price for each person, each week is €15.000. 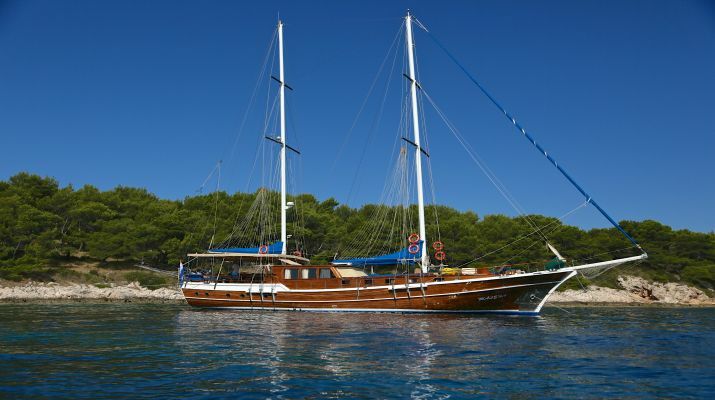 Gulet Barba is one of the biggest gulet in Croatia that features a 6 cabin accommodation in the whole of Croatia. Its large frame means that you have more deck and salon space for relaxation during a lovely cruise. If you value a big gulet that gives you a lot of space to have fun then the Gulet Barba is your best bet. Barba has 6 air conditioned cabins and can accommodate a Maximum of 12 guests. The asking charter price for this gulet starts from €14.900 /person/week. 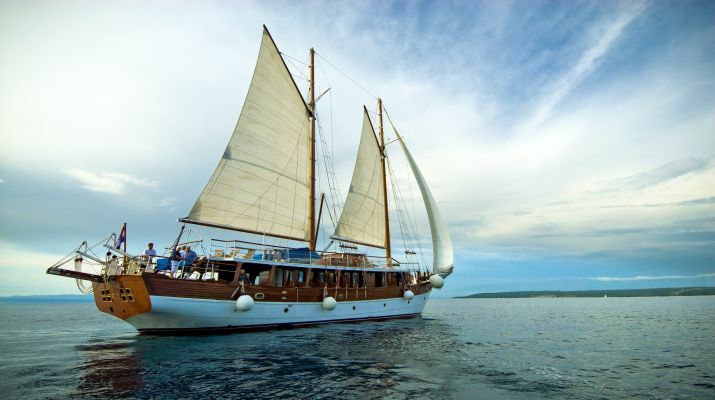 Gulet Perla is a well-built 30 meter long gulet, built with only the best quality of mahogany and teak. The gulet Perla has 6 spacious and furnished cabins and can contain up to 12 guests. This gulet comes with 4 hospitable crew that will make you feel at home. It also features a very furnished salon and deck area too. 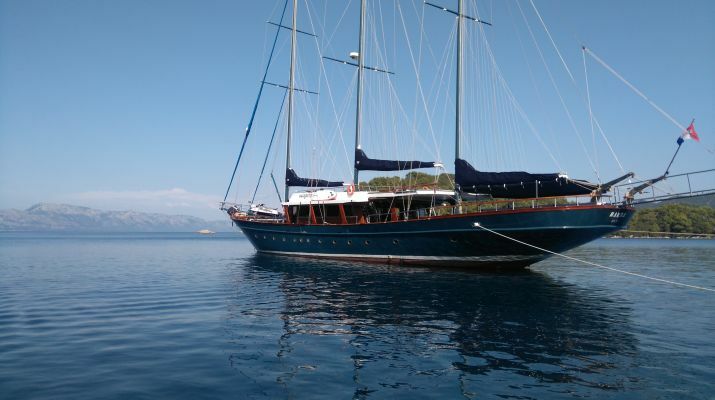 The asking charter price for this gulet starts from €12.900 up to €17.500 per week/person. Gulet Fortuna has great sailing capabilities and it is well maintained by its owners who hold customer service in high esteem. The gulet has a 24-hour air condition service included in its charter price. There are 4 crew members on this gulet to offer you great services as well as a well-designed salon and exotic deck area for sunbathing and water sports. This gulet has 7 air conditioned cabins and can accommodate a Maximum of 15 guests. 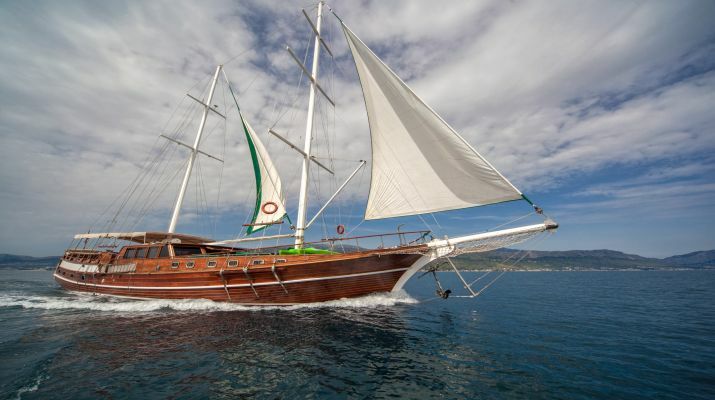 The asking price for this gulet starts from €12.900 per person/week. 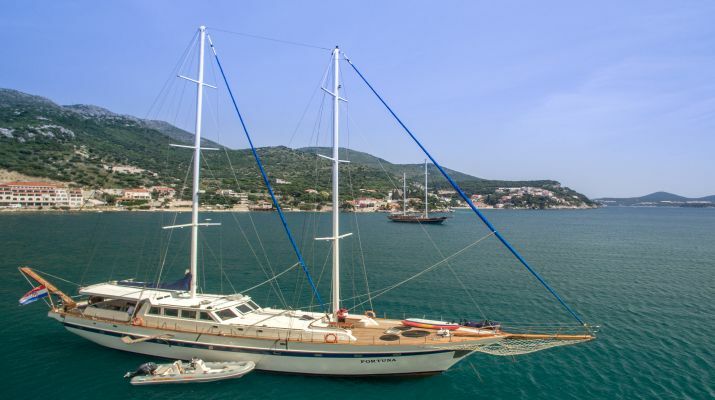 Gulet Anna Marija is a well maintained and furnished 6 luxury cabin yacht. The gulet is very spacious and has a reputation of offering only the best service to guests. The gulet features an open salon and has a very welcoming and lovely crew. The chef also has a menu that features only healthy cuisines. This gulet can accommodate up to 12 guests in its air conditioned cabins. The starting price to charter this gulet is €11.400/person/week. 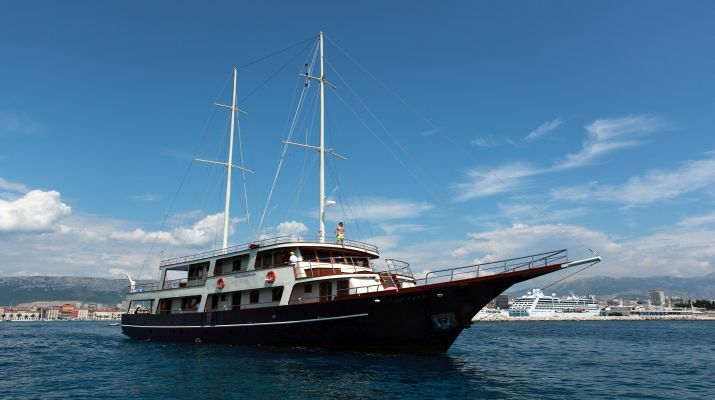 Gulet Hana Croatia is a beautiful 32 meter long yacht that can accommodate up to 14 guests and 4 crew on board. The gulet features nicely furnished and spacious cabins. On this gulet there are also additional services offered like a child minder, masseuse, and yoga services. This gulet features 7 air conditioned cabins. The starting charter price for this gulet ranges from €11.500 to €16.500 per person/week. Gulet Naulitus is a beautiful and very exotic gulet that was totally renovated in 2016. She features a 31 meter frame and has 8 double cabins, a large salon and lots of entertainment and water sporting capabilities. Naulitus has 8 air conditioned cabins and can house a maximum of 16 guests. (Each cabin with a private bathroom and a double bed). 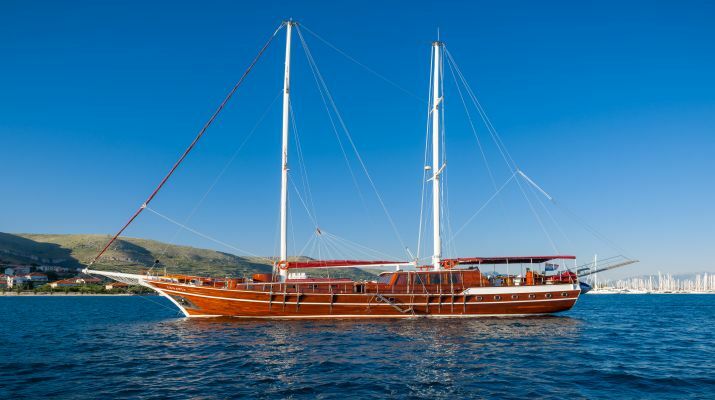 This gulet can be chartered for any price in the region of €10.500 to €16.500 per person/week. Gulet Malena is a beautiful and spacious 5 cabin gulet that will guarantee you an exciting sailing experience. The gulet Malena features 5 air conditioned cabins. That can accommodate up to 10 guests and a crew of 4. 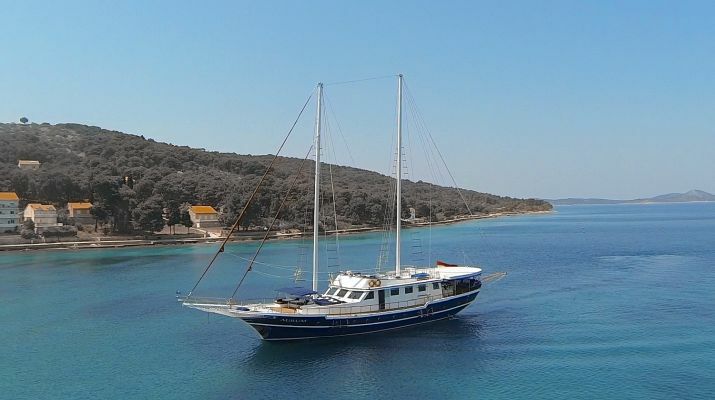 The asking charter price for this Gulet starts from €11.900 to €14.900 /person/week. Gulet Andi Star is a spacious and furnished gulet that can accommodate up to 12 guests and has 5 very beautiful cabins. This gulet is recommended for parents with children because all its cabins have an extra bed. 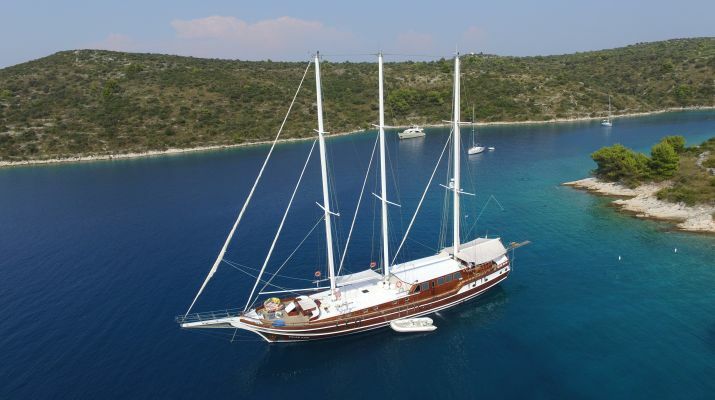 The charter price for this gulet starts from €11.500 to €13.500 per person/week. 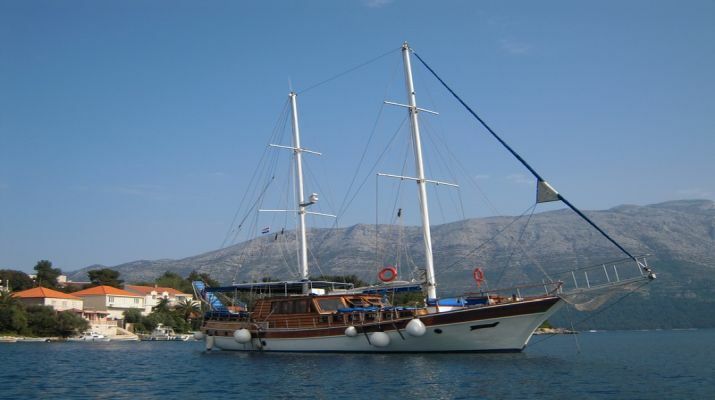 Croatia Luxury Gulet Prices Luxury Yachts in Croatia: Did you ever heard of Gulets?